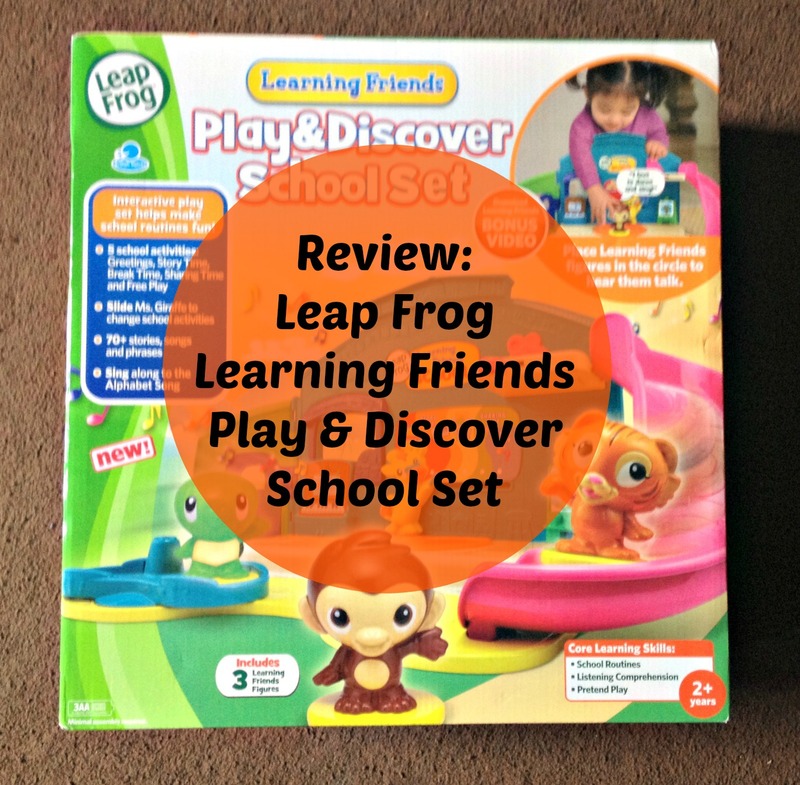 We have been fortunate enough to receive a Play and Discover School Set from Leap Frog Learning Friends. Rowan started school at quite a young age when he was four years and three weeks old, and I was really concerned about how he would manage. I worried about the academic side of things being too taxing for him, I worried about the long days being too tiring for him and I worried that he wasn’t emotionally mature enough to conform to the social norms he would be learning as part of the school system. Rowan himself didn’t know what to expect either, except that he thought he’d be coming home at lunch time – which he wasn’t. This new playset is perfect for children like Rowan, who haven’t been in a proper school environment before. It teaches children about the basic set up of a classroom, some of the topics they will cover such as learning the alphabet and story telling, and about social skills. They also develop their motor skills when using the slider to choose which mode they’d like to play in and when moving the little characters around the classroom, and they’re encouraged to use their imagination and to develop their listening comprehension skills too as Ms. Giraffe guides them through their day. Inside the box there is an interactive classroom, three school friends and a teacher – Ms. Giraffe, who covers five topics with the school friends: Greetings, sharing time, story time, break time and free play. Rowan’s particular favourite was story time, so I’ve included a little clip here of one of the adorable little stories told by Ms. Giraffe. Leap Frog have a great reputation for making educational toys, and I know this to be a brand I can trust. I’ve just bought Rowan a Leap Band too, so we’re adding to our Leap Frog collection with this set. Rowan played with the Play & Discover School Set for around twenty minutes the first time we got it out, and for some of that time he played independently. I would recommend playing with this alongside your child so you can discuss what might happen throughout their typical day, and guide them towards what might be representative of their upcoming routine. If you have a child who is maybe shy or doesn’t always say what’s on their mind, this is a great tool for helping them to relax and converse about their feelings around starting school. It’s a big deal when you’re 4! The play set is really simple to assemble. You literally click the slide onto the school, add some batteries and you’re away. The batteries aren’t included but the ones you need are 3 of the AAA size that we often have packets of anyway. You will need a philips screwdriver to do this though so do what I did and set it up before the kids see it or you’ll have whining while they wait for you to go and get the tool box. Once you’ve finished playing, the slide detaches and the whole things slides easily back into the box for nice, neat storage. I love a good stackable toy! 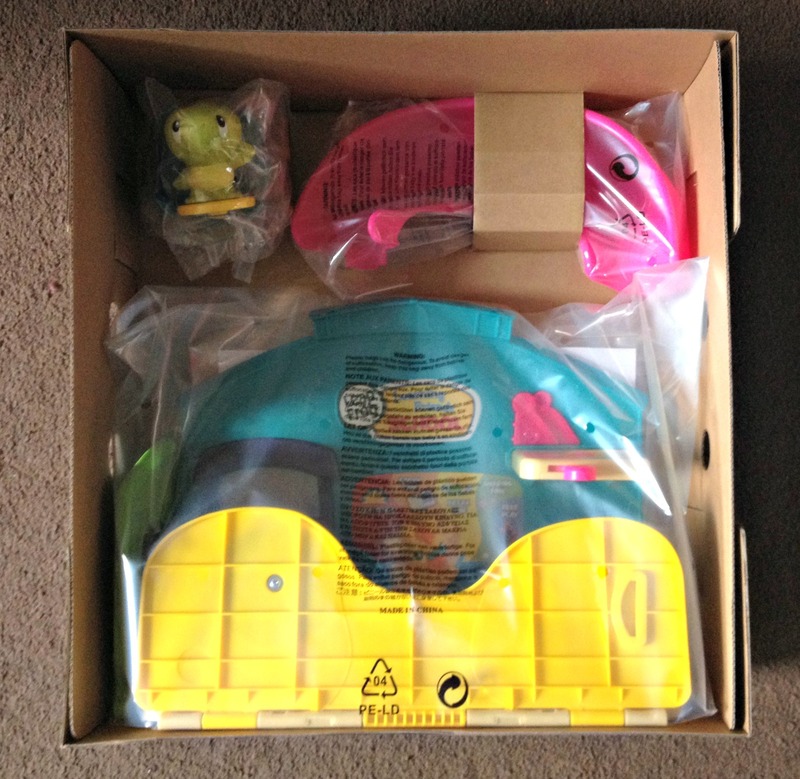 You can buy the Leap Frog Learning Friends Play & Discover School Set at all the usual leading retailers for around £25.00. I always look for ways a product could be improved when reviewing, and the only thing I’d change about this is the fiddly inner packaging which took me a little while to undo. I’d also prefer to see the type of screw you can use a butter knife for but that’s only because I can never find a screwdriver. Overall I’d recommend this to anyone who wants to prepare their child for ‘big school’. It’s a great tool for you to explore together and talk about their next big adventure. Just make sure they know their teacher isn’t an actual giraffe. Disclaimer: we were sent the Leap Frog Learning Friends Play & Discover School Set for review purposes. All opinions are my own. All teachers are giraffes . . . surely?! Love the idea of this – a really cute toy.